Welcome to Sattel Business Solutions GmbH. 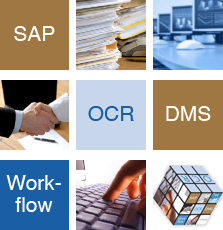 We offer solutions for intelligent document capture and EDI, for work flow management, for archiving in compliance with auditing requirements and for electronic billing and order processing. In our capacity as a software maker and system house we cover the entire solution and service spectrum ranging from consulting through to development, installation and configuration up to training, documentation and support. We look forward to contact you!